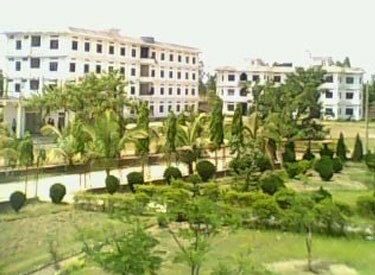 Janaki Medical College and Teaching Hospital (JMCTH) is a medical school located in Chireshwarnath municipality and city hospital at Brhampuri 9, Janakpur, Nepal. It provides healthcare education in association with Tribhuvan University Institute of Medicineand regulated by Nepal Medical Council (NMC). It is managed by Ram Janaki Health Foundation which is registered under the Nepalese company act. The college with established in 2003 with an annual intake of 80 students a year to a MBBS programme. On 1 January 2014 the NMC barred the college from enrolling students and Tribhuvan University stopped admissions. In July 2015, students from the college that were worried about their future protested in Katmandu. AIM-U's curriculum and academic programs are prepared and monitored by Members / Specialists of Medical Councils, including Medical School Accreditation Approval and Monitoring Committee, ECFMG.